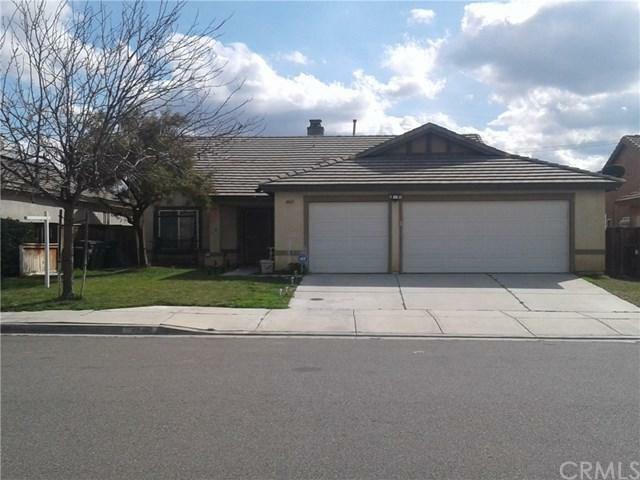 Beautifully upgraded single story 4 bedrooms 2 bathrooms home, ready to move in. 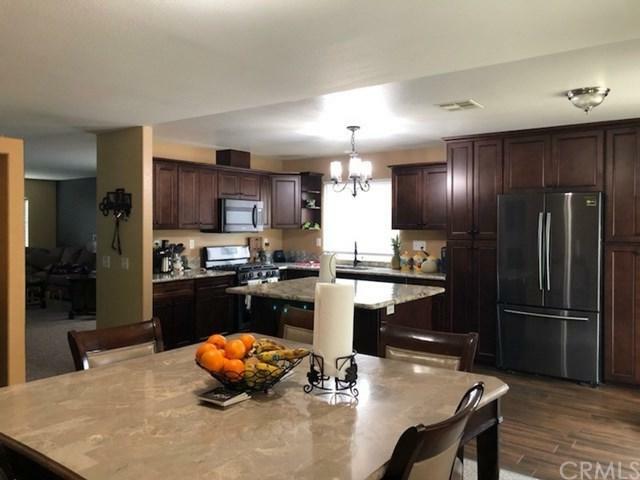 Upon entering the home you notice the large and open living room, featuring carpet flooring and the tastefully upgraded kitchen featuring lots of dark cherry cabinets, amazing granite counter tops and a custom made center island with wine rack. New stainless steel stove, microwave and dishwasher. The kitchen also features new paint and dark wood laminate flooring. 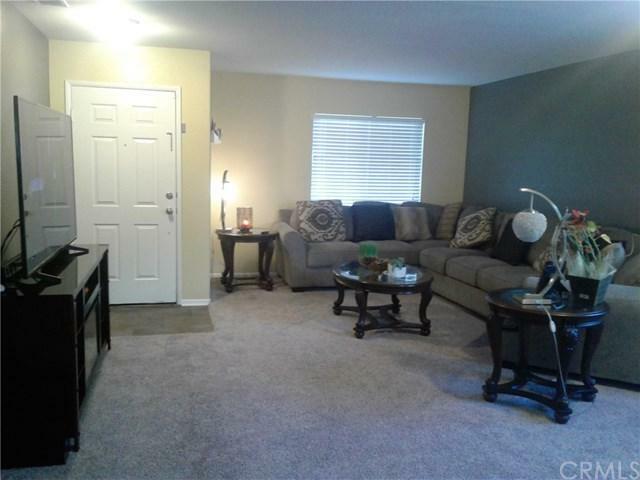 Next to the kitchen is the spacious family room with fireplace and carpet flooring. Off the kitchen, there is a sliding glass door leading to the back yard with a new installed cover patio and ceiling fan to enjoy the outdoors. There is a block wall at back of back yard. The spacious master bedroom features cathedral ceiling, newer paint and carpet. Walk-in closet, and spacious master bathroom with double sinks and privacy door for toilet. New paint and newer carpet throughout the home. Separate laundry room with built-ins and direct access to the (3) three car garage. NEW SOLAR. 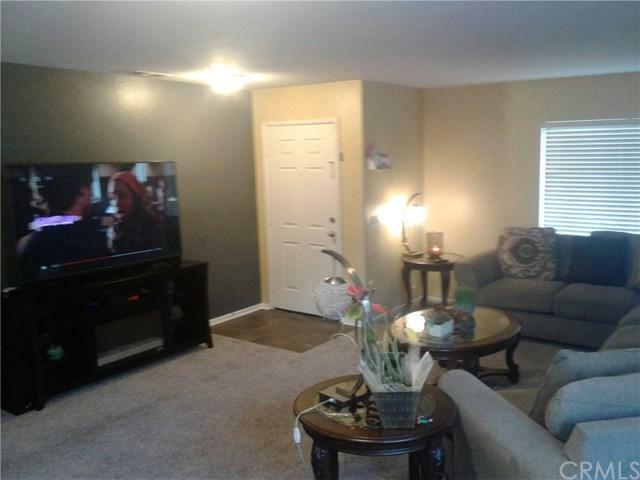 Home conveniently located within close distance to schools and park. This is a MUST SEE HOME. Exclusions Video Cameras Washer And Dryer And Smart Thermostat. *Refrigerator is Negotiable.